** Please Note - If you do not see the day or time that you're looking for, please call the office for additional appointment times ** If you are someone who takes multiple medications for medical problems and need psychiatric care I could be the right Psychiatrist for you. I have closely worked with and have a deep understanding of psychological needs of medically ill population. My strongest emphasis is on improving my patient's quality of life. Patients often feel uncertain about starting a new medication. I'm often asked "will this medication interact with my other medications?". I will work with you and help you decide if you need psychotropic medication(s). I only recommend starting medication when I believe it's likely to benefit you and am knowledgeable about medication interactions and side effects. I also consider other evidence based alternative treatments to help improve your quality of life such yoga, bio-feedback, CBT and more. Just my first appointment with her, but I believe I'll be very happy with having her as my doctor. Dr Savant was both knowledgeable and professional. She was very thorough, taking the time to listen to my history and my concerns. She explained different treatment options and the pros and con's of each so that I could make an informeddecision. I can tell that she genuinely cares about her patients and wants what's best for their long term health and well-being. She also worked with me to schedule my appointment so that it worked with my schedule and reached out to me personally to confirm. I highly recommend this doctor and her practice. 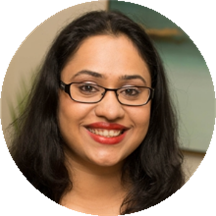 Dr. Vidushi Savant, MD has no appointments on Zocdoc right now.